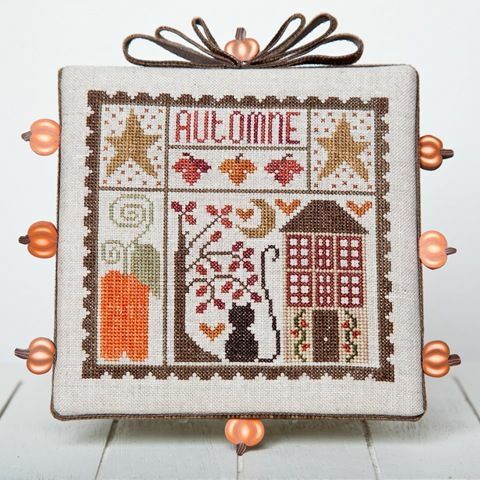 "Autumn Square" is a counted cross-stitch chart with instructions translated in English. It is part of a seasonal series (see below in the related products section). The model on the picture has been stitched on a 40 count linen fabric (colour Flax) using one strand of cotton over two threads of fabric. But you can stitch it on a lower count fabric using two strands of cotton over two threads of fabric. Recommended fabric: of your choice regarding the type (linen, aida or evenweave) and the stitch count, colour "flax" or "light natural linen", 35x35 cm (14 x 14 in).